Explanation: What's happening at the center of spiral galaxy M83? Just about everything, from the looks of it. 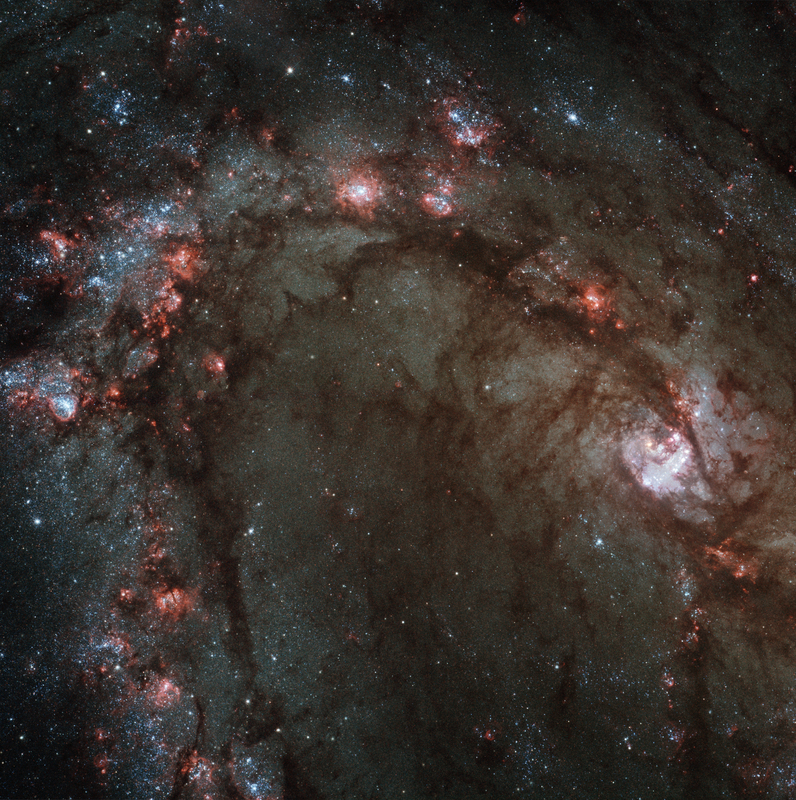 M83 is one of the closest spiral galaxies to our own Milky Way Galaxy and from a distance of 15 million light-years, appears to be relatively normal. 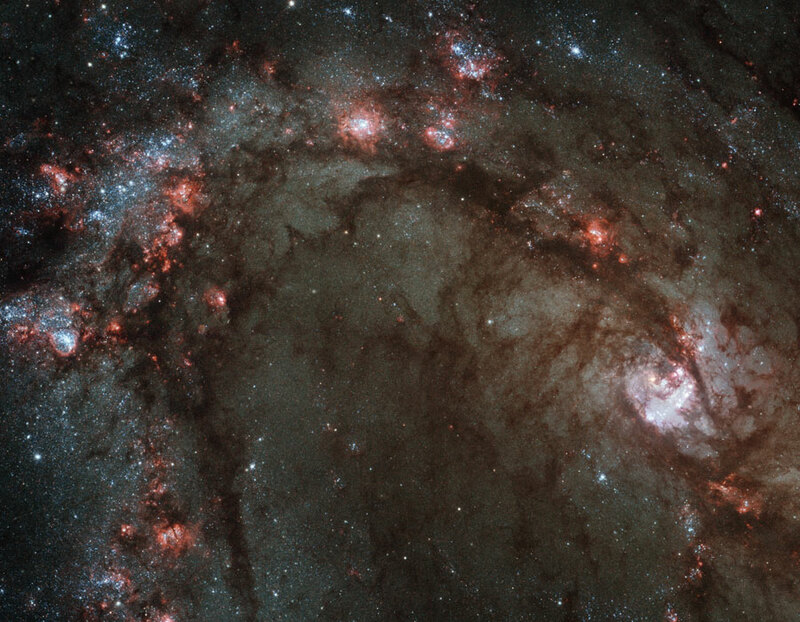 Zooming in on M83's nucleus with the latest telescopes, however, shows the center to be an energetic and busy place. Visible in the above image -- from the newly installed Wide Field Camera 3 pointing through the recently refurbished Hubble Space Telescope -- are bright newly formed stars and giant lanes of dark dust. An image with similar perspective from the Chandra X-ray Observatory shows the region is also rich in very hot gas and small bright sources. The remnants of about 60 supernova blasts can be found in the above image.